What can be expected out of a Selvaraghavan film is the unexpected. 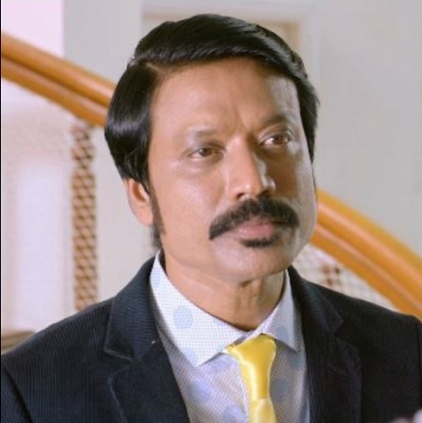 Nenjam Marappathillai trailer released today (4th November) and it starts with S.J.Suryah announcing himself as Ramsay (Not Ramasamy, mind you). Wonder why the first shot of the trailer is masked under a ‘negative’ filter. But then there is the Ramsay theme accompanying montages that give a taste of the peculiarity in Ramsay’s character. Remember the shot in the teaser? The one where Ramsay talks about his life’s journey...well a similar shot manifests in the trailer but this time we hear this dialogue being hurled at SJ - “Paathu na,.... Sumaar moonji kooda azhaga than theriyum” and in subsequent shots we find Ramsay bumping into Regina, very much suggestive of a soft corner for her inside his mind. Another important aspect of the trailer seems to the song ‘En Pondaati Ooruku Poitaa’ where Ramsay carries his wife and throws her on the bed. It could be he has either drugged her or killed her or neither (expect the unexpected, remember?). And finally, the last few moments of the trailer where Ramsay is calling out for Mariam, urging her to come out and manifest herself - If you notice carefully at the shots near 1:31, a hand is placed behind his head, you can thank us and the trailer for the sudden chills. Overall, a trailer that hasn’t revealed much about the plot points, yet it confidently presents the basic premise with a lot of interesting elements on display. Thumbs up. People looking for online information on Nenjam Marappathillai will find this news story useful.